Marie Callender's creates homemade meals and desserts made with high-quality ingredients and signature special touches that your family can slow down and savor together. 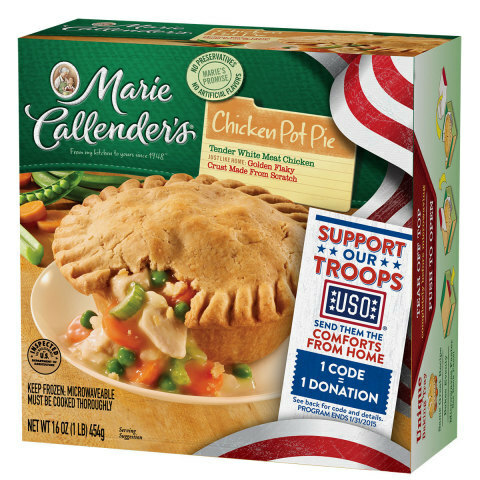 My retired airman loves eating Marie Calender's Chicken Pot Pie. I swear if you come to our house you will always find one or two in our freezer. 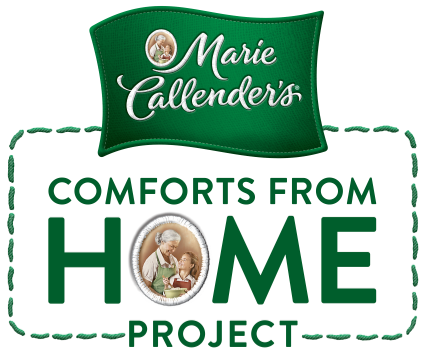 This fall, Marie Callender's will launch the Comforts from Home Project by bringing the comforts of home to those who protect America's homes every day: the brave men and women of the U.S. Military. 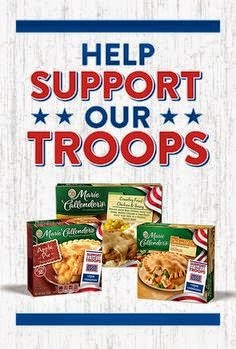 From September 1, 2014 through January 31, 2015, every time consumers look for one of the more than 51 million specially-marked Marie Callender's meals or desserts from their grocer's freezer case, they're invited to support U.S. troops by entering an eight-digit code from the package online at www.ComfortsFromHome.com. 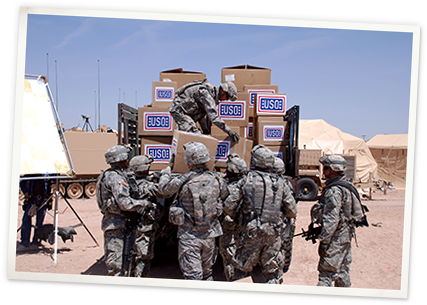 Each code entered online equals a $0.50 donation to the USO2GO program. Kits are designed to help soldiers transform a remote base into a place where troops can organize a pick-up football game, relax in comfortable chairs to swap stories, or send emails to loved ones back home. In addition to the on-pack promotion, the Comforts from Home Project will deliver the comforts of home to troops stationed in Germany and pay special tribute to one retiring soldier in a national television event airing on Veterans Day, November 11, 2014. A Hero's Welcome, a one-hour special will feature a heartwarming homecoming event that brings the comforts of home to American troops in surprising ways with the help of the USO, hosts Robert Irvine from Food Network's Restaurant: Impossible, Genevieve Gorder from HGTV's Genevieve's Renovation, and Gary Sinise, award-winning actor, humanitarian, and founder of the Gary Sinise Foundation. The special airs across Scripps Networks Interactive, including Food Network, HGTV, Cooking Channel, Travel Channel, DIYNetwork, and Great American Country. Hosted by Robert Irvine from Restaurant Impossible, Genevieve Gorder from HGTV Design Star and Gary Sinise, award-winning actor and founder of the Gary Sinise Foundation, the show will be a heart warming event that brings the comforts of home to American troops in surprising ways that only Marie Callender's can. Disclosure: I have been selected by Tap Influence to be a spokesperson for Marie Callender’s While I have been compensated for my time, my opinions are my own.